Confrontation is the anthem of this disc! The song gets your adrenaline pumping at the first note that rages out the speakers. The CD is pure energy including many underlying tones of the dark disturbing sides of life. 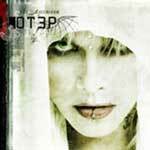 Otep presents aggression in the music of what is real to so many. Emotions are not scattered but defined within each track, through morbid visions, these feeling and emotions described in uncensored detail. Many themes seem to scurry through the CD including religions upbringing, sexual abuse, substance abuse, violence, basically the horror of man. The summary is this damn disc is very good, lyrically, musically and thrashing f'ng mad. Go buy the damn thing! I felt every note was mastered precisely on the disc. Metal, Nu-Metal, whatever the Otep wants to categorize, one thing is known, and you can take your head and bang. Thrash to majority of the tracks or just sit back and listen carefully. The disc's tracks work are the music to pump some iron. The first time I picked up The Ascension Revisited was 5:30 a.m., the first Sunday in October 2007, I was heading out for a couple mile run, at first note I knew that moment the run would be quick, and I would be ready for Sunday mass with vigor. Getting back to the disc, Shamaya takes her voice to many levels from melodic to a horror roar. The guitar work is punching, hard and precise. I enjoyed the bass riffs as they were not overpowering but when needed, exploded in tunes as Ghostflowers. Otep visits Nirvana's Breed, which made me think for a minute where have I heard the track before. Otep does introduce the track in the beginning; however it took me a couple times to catch it. The tune is more upbeat on the CD than others, Shamaya carries here voice very well and the rest of the music gives a bubble gum feel, so don't be afraid of ghosts. In addition, I like the ending of the track, my first thoughts were of Jim Morrison doing some spoken word. This is also reflective at the end of the track Invisible. Many portions of the disc touch much on abuse, which are considred dark and un-talked subjects, that exist among many young woman in our society. Sitting down and listening to the lyrics of such songs as 'Home Grown' makes one understand the hate of life abuse, believing "it's all my fault." The retaliation done later when able, justified. Maybe not by law, maybe by moral law. All the therapy or reform will not cure. Many of the tracks directly related to childhood abuse, emotions fly hard on this disc, and are not about the joys of life on some summer day on the beach. The only portion I questioned of this CD was the final track 'Andrenochomre Dreams', why this is even on the CD, maybe my copy was flawed. A 9+ minute track with silence is just annoying in a world of ADD individuals. It was a waste of my valuable time to listen through silence. 3:35 minutes into the song finally something came up, Shamaya's monologues for the remainder of the track. Why the prolonged silence? I will just take it that my disc was flawed and not intentional. The reality of the lyrics are hard, eerie and morbid. Defining the infection caused by exploitation to the fullest of our dark nightmares. Otep Shamaya and the rest of Otep crew, Aaron Nordstrom (guitar), Brian Wolff (drums), Evil J. McGuire (bass), take us on a tour of a hard crisis with a extremely powerful, unyielding sound, with words to match. Not only will you detonate your inner fierceness to bang your head, but will listen attentively what Otep is saying.